You are here: Home Our Organisation Latest News RCHT Charity Retail for Research – Do the Good Thing! 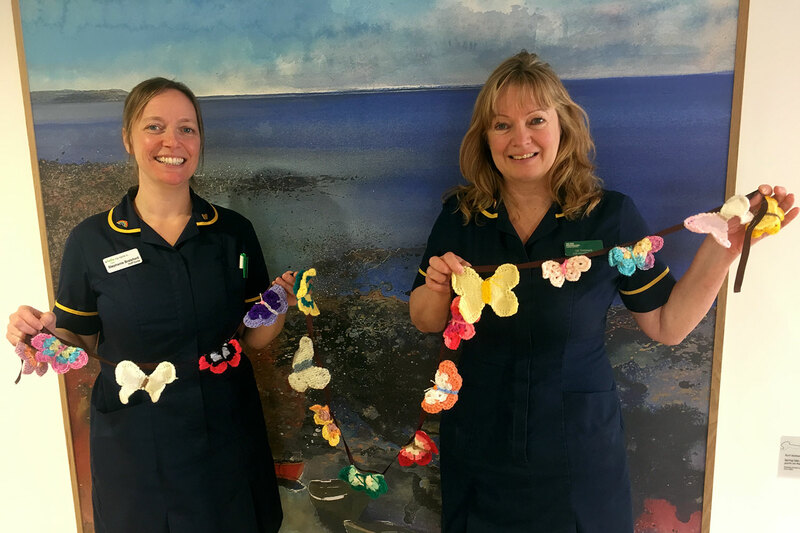 So, what better time to Spring Clean and support the ‘Retail for Research – Pop Up Shop’ taking place on Thursday 25th April at Royal Cornwall Hospital. 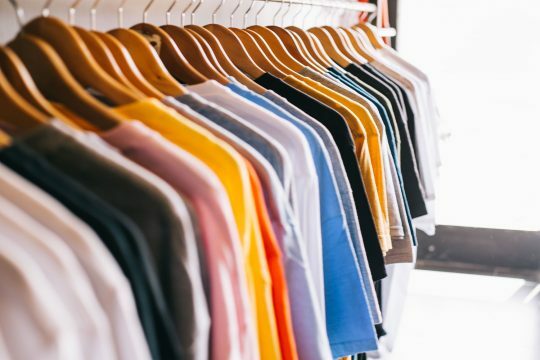 “We are seeking donations of good condition ladies, men’s and children’s clothes, shoes and accessories which we will use to stock our One Day Pop Up Shop to raise funds for the Cornwall Research Charity Funds, part of Royal Cornwall Hospitals Charity,” explained Amanda Datson, Research Project Manager. “We are sure that most people would be glad of the extra space a clear out can create and have a few items to donate that would help us to raise funds. Of course the best thing is that once you have cleared out your wardrobe you can justify coming along to the Pop Up Shop and grabbing a bargain or two!” Amanda added. “It is our vision that research should be core business in healthcare throughout Cornwall, offering our population the latest evidence based and research orientated care. Organisations that are research active have better clinical outcomes, reduced morbidity and mortality. We are delighted to be a fundraising at this event and every pound raised will contribute to research in Cornwall supporting better healthcare for the people of Cornwall today and for the future,” explains Michael Visick, RD & I Manager at RCHT. Funds will specifically go towards the recently launched Research Bursary Award Scheme, intended to provide the initial funding for the development of research ideas at the Royal Cornwall Hospital. Laura Royle, Clinical Research Administrator, applied to the Cornwall Cancer Research Charity Fund to support her project “Living with and beyond cancer: a comparative study of the quality of life of cancer survivors participating in clinical trials in Cornwall” recently. 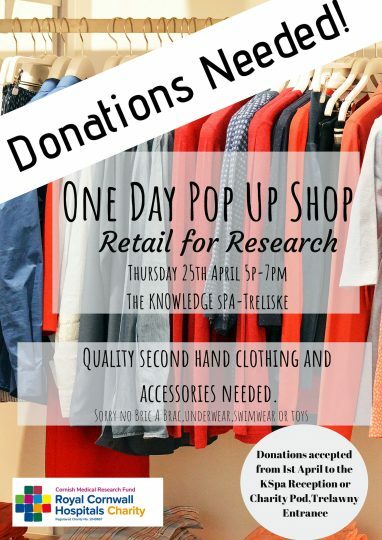 Retail for Research – Pop Up Shop will take place in The Knowledge Spa at Royal Cornwall Hospital, Truro on Thursday 25th April from 5pm – 7pm. 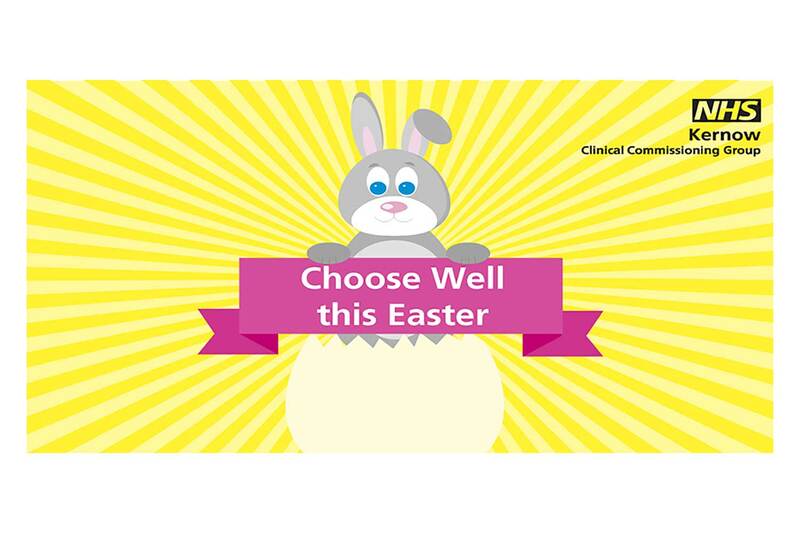 Donated items can be dropped off from 1st April to the Royal Cornwall Hospitals Charity Pod at Trelawny Entrance or the donation point at The Knowledge Spa Reception both at Royal Cornwall Hospital. Please NO bric-a-brac, underwear, swimwear, toys or linen. Organisers of the event are also keen to hear from anyone that would like to volunteer on the event day, helping to sort, price and display stock and anyone interesting in booking a stall or providing entertainment.